Navratna Defence PSU Bharat Electronics Ltd (BEL) has got its first woman whole time Director. Anandi Ramalingam, who has taken charge as Director (Marketing), BEL, was General Manager heading the Military Communication Strategic Business Unit (SBU) at BEL’s Bangalore Complex prior to her elevation. 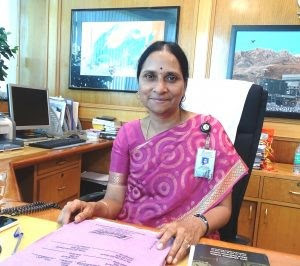 Anandi Ramalingam joined BEL-Bangalore in March 1985 after completing her BE in Electronics and Communication engineering from the PSG College of Technology, Coimbatore. For the next 20 years, she gained diverse experience in equipment testing working across various domains of military communication including heading testing for ‘Shakti”, the flagship Artillery Combat Command and Control System, developed by BEL and DRDO for the Indian Army and AREN (Army Radio Engineered Network) winning the Raksha Mantri’s Award. During this period, she was also awarded the Executive Excellence Award, in the very first year of its inception. In 2004, she was roped in as part of the team formed to set up the Marketing Division for the Military Communication & Electronic Warfare SBU at Bangalore Complex. The team pioneered proactive business development practices in BEL and gradually assisted other SBUs in establishing effective marketing systems. In 2007, she was elevated as the Marketing Head of the Military Communication SBU where her team could achieve record growth in order book and turnover. With over three decades experience in the city-based public sector enterprise, Ramalingam has expertise in equipment testing gained by working across domains of military communication. “She headed testing for ‘Shakti’, the flagship artillery combat command and control system, developed indigenously with DRDO for the Indian army and its radio engineered network,” the statement said. 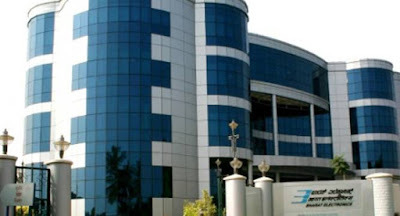 In 2004, Ramalingam was part of the team, which had set up marketing division for the military communication & electronic warfare unit here, it said, adding that in 2010, she was moved to international marketing division to head defence offsets, establishing the company as a reliance global supply chain partner for original equipment manufacturers.